As with any sport, there are a number of price brackets for tennis shoes. 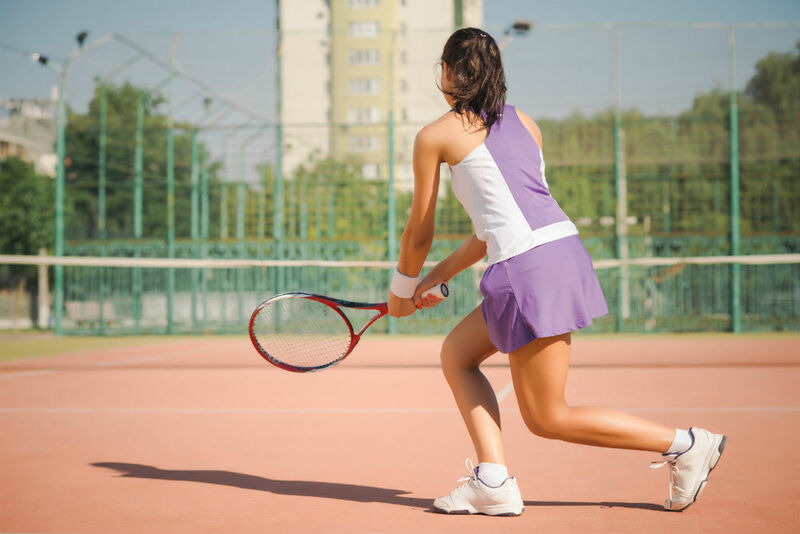 While there are some expensive shoes that do offer special features, most mid-range tennis shoes will serve you well at a fraction of the price. While you can spend a lot of money on tennis shoes, there are a number of choices on the market for under $50. The main things to keep in mind when choosing tennis shoes are you particular feet and the circumstances under which you play. One of the best ways to find affordable tennis shoes is to shop the mid-range groups of the main tennis shoe brands. The key to choosing from these options is to consider your particular needs and what things are deal-breakers for you. Out of the many options, the following four will provide a solid tennis shoe option while not breaking the bank. While Wilson brand tennis shoes can cost well over $100, the men’s Rush Pro tennis shoes offer a great option in the under $50 category. 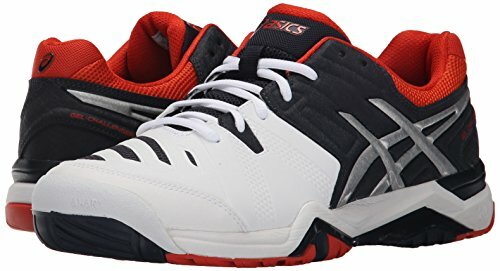 These shoes are a grat, inexpensive option for hard court player we well. The Rush Pro tennis shoes are perfect for a more aggressive player or simply one who wants their shoes to last. Although they are made from synthetic materials – which is partly what keeps them inexpensive – they are made to be durable. Because the Rush Pros are made to be durable, however, they do provide slightly less cushioning than other options. If you have foot and joint problems, these may not be the best option for you. ASICS has one of the largest price range spans out of any tennis shoe brand, spanning from over $200 to under $50. The men’s Gel-Challenger 10 tennis shoes fall at the lower end of that spectrum while still including many wonderful ASICS features. Like the Rush Pros, these shoes are also made from synthetic materials. But, although they may not be as durable, they have more cushioning and support incorporated into the shoe. Many higher end ASICS tennis shoes have gel cushioning and their mid-range shoes are no different. The Gel-Challenger 10 tennis shoes are as great option for an everyday tennis player as they will keep you comfortable and supported throughout the day. 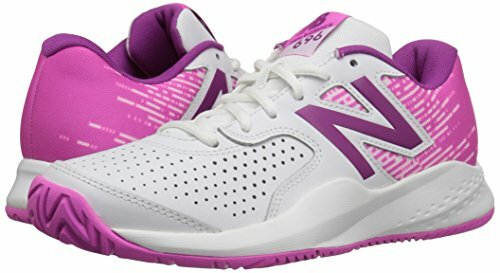 While most of the shoes on this list are made from synthetic materials, the New Balance women’s WC696 tennis shoes are a leather and mesh combination. Leather tennis shoes have the reputation for being durable and expensive, so these are a great deal. Normally, leather tennis shoes are extremely unbreathable, but the WC696 tennis shoes incorporate mesh to cool things down. Additionally, the leather and mesh combination makes the shoes more supportive for picky feet. Like the other options on this list, the soles of these shoes are rubber, which is their main flaw. Although they have excellent traction, heavy playing schedules can lead to them wearing out. For the price, however, they are an excellent option. 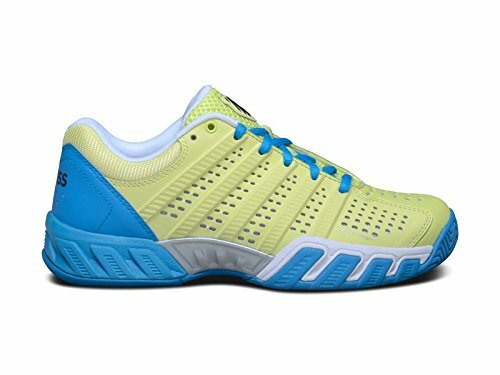 While the Wilson tennis shoes are a good option for hard court players, the K-Swiss women’s Bigshot Light Tennis Shoes are a great option for clay and grass court players. As with all the other options, the Bigshot Light tennis shoes are made from synthetic materials. They are, though, much more light weight than any other option. They only weigh in at one and a half ounces, so they are perfect for fast moving games. Although they are light weight, the Bigshot Lights also provide good cushioning and support throughout the foot bed. They also allow for stable lateral movements on softer surfaces making them perfect for grass and clay courts. Although you could certainly spend a great deal of money on tennis shoes, there are a number of excellent choices for under $50. In fact, most of the bigger brands offer more affordable options which are still solid tennis shoes. As with more expensive shoes, various pairs have different strengths and weaknesses. Setting a price limit for yourself when you are going into it can be helpful. Ultimately, when you are deciding on which tennis shoes to purchase, you need to consider your own playing style and environment. There are many tennis shoes under $50, but you must know what you criterion are so you know which bells and whistles are necessary.